At Quiet Cannon, our goal is to make sure every part of your visit is enjoyable. Many individuals stay at our Hilton Garden Inn to attend a conference or wedding. In any case, taking some time for leisure activities is always refreshing and we hope you can spare some extra time to do just that. 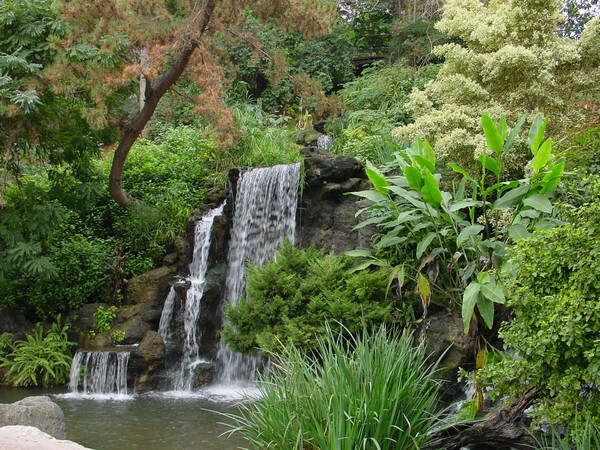 Today we’re sharing some information about the Los Angeles Arboretum and Botanical Gardens. Just 12 miles from Quiet Cannon this lovely and historic cultural icon sits in the heart of the bustling city but is worlds apart. The Arboretum and Botanical gardens can trace its history all the way back to 500 B.C. thanks to the research of Scottish-born Naturalist Hugo Reid who claimed over 13,000 acres of Rancho Santa Anita in 1845 (much of which has survived as the arboretum and botanical gardens). The Los Angeles property is home to a vast array of plant and animal wildlife but architectural and natural history buffs will love the multiple historic structures on the property. From the adobe house at Rancho Santa Anita built by Hugo Reid himself to the fully restored 1890 train station at the Santa Anita depot and all the way back to the traditional reproduction “kiys” built from brush by the Tongva Indians (the original inhabitants of the land) the property has something for everybody. You can arrange guided tours or wander through the multiple gardens on your own with only a guest map and an eager mind (and don’t forget to bring your camera). They offer classes, plant sales, and even summer camps for children during the warmer months.